Here’s a closer look at the levels. Level 0 Visualization: Describe shapes on the basis of their appearance. In this level, it’s okay for the teacher to say, “This is what a square looks like.” (without describing the properties). Students work to group shapes that look alike. 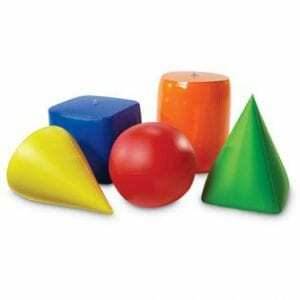 Level 1 Analysis: Describe shapes on the basis of their properties. 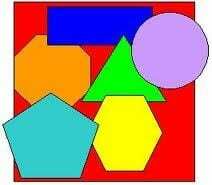 There may be many ways to orient a shape, and the shapes may be different sizes (without changing the name of the shape). Level 2 Abstraction: Recognize the relationships between the properties of geometric shapes. The following 2 levels usually encompass thinking involved in high school, so I will not provide more details on these in this post. Level 3 Deduction: Move from thinking about properties to reasoning or proving theories. Level 4 Rigor: Establish and analyze theorems in different postulation systems. Movin’ it Match 2D and 3D Shapes bundle ($8 by The Math Maniac): Well worth it in my opinion especially if you are looking for lots of black line drawings of 2D and 3D shapes to use for sorting and games. 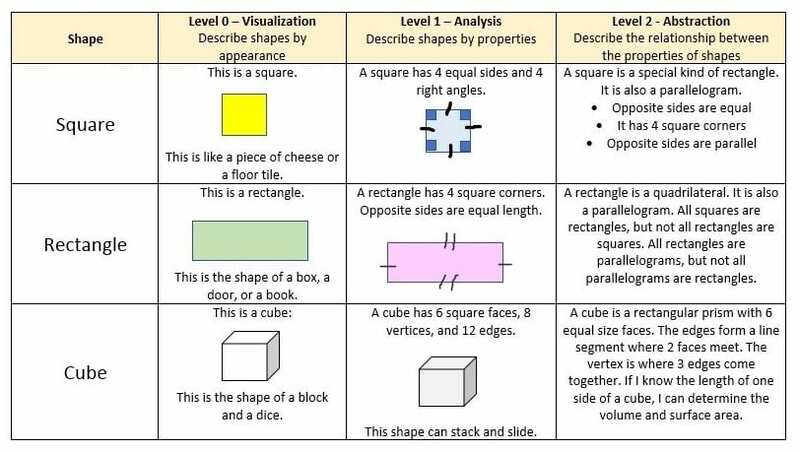 I know this post doesn’t focus too much on lesson ideas – BUT it is a very important regarding developmental levels of geometric understanding. More lesson ideas to come.